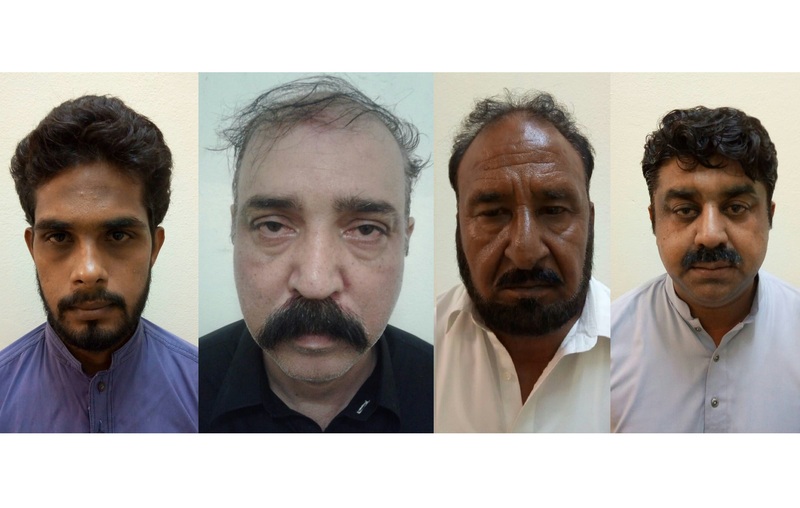 LAHORE: National Accountability Bureau (NAB) Lahore on Thursday arrested four persons allegedly involved in two different corruption cases related to cheating public at large and misuse of authority. According to the details, two of the arrestees, namely Muhammad Ashraf and Patwari Muhammad Asif, were allegedly involved in the State Life Insurance Corporation (SLIC) Cooperative Housing Society corruption case. Ashraf was held on charges of alleged sale and purchase of 272 kanals of land worth Rs180.2 million, whereas, accused Muhammad Asif was arrested for allegedly selling 20 kanals and 6 marlas of land through forged and fabricated land documents. The accused also allegedly took financial benefits with the support of Revenue officials, which caused financial damages to the SLIC Housing Society. The other two accused, M/s MNM Motorcycles Pvt Lmt Punjab General Manager Saghir Nisar and Stockist Naveed Azhar have been nabbed on charges of depriving innocent people of Rs11 billion (approximately) by luring them for the provision of motorcycles on cheap rates. It merits mention here that NAB, so far, has arrested 30 accused involved in the MNM Motorcycle corruption case and an investigation is underway in order to recover the looted money. NAB has presented all four accused before an accountability court that has remanded them into the anti-graft watchdog’s custody for 14 days.